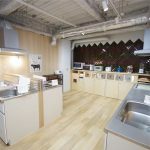 My selection of the best share houses and apartments of Meguro in Tokyo. Find a room in one of the most affluent residential areas of the Japanese capital city. Meguro is one of the most popular residential districts in Tokyo. It is just south of Shibuya and it is filled with greenery. This makes it a place close to the most vibrant districts of the Japanese capital city, but at the same time relatively quiet. Strangely, there are a few social residences in these neighborhoods. The dwellings are mainly adapted for families with rather high incomes. But, it is not impossible to find a share house in this part of Tokyo. I lived for 7 months in one of the residences of my recommendations list. Where are the best share houses of Meguro? 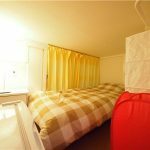 Prices: Single rooms from 68000 yen per month. Description: I lived in this residence. I can only advise it to you if you are not afraid to walk because closest train stations are far away. 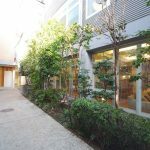 In the heart of Meguro, the flat is furnished with a library, a projection room and a Japanese jacuzzi (a private sento). I shared great moments with my roommates in the gigantic living room of this share house. 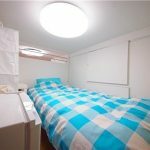 Price: Compartments starting at 44,000 yen per month, Shared rooms starting at 49,000 yen per month, Single rooms starting at 71,000 yen per month. Description: Old house, also located near the Nishi Koyama station. The area is residential, but many restaurants are close to the train station. The residence is old but it will allow you to live in a Japan halfway between traditions and modernity.